On Wednesday, June 14, Monkeypod Kitchen by Merriman in Wailea hosted a special fundraising dinner to support the launch of new school gardens and outdoor learning programs for more than 600 students at Lokelani Intermediate School in Kihei. The Lokelani program launch is a collaborative effort between South Maui School Gardens Project, Community Work Day Program and the Maui County Department of Water Supply. The percentage of net dinner receipts collected during Monkeypod Kitchen’s dinner service plus cash donations totaled more than $2,400 to support installation of educational gardens and program support for teachers, students and volunteers. “Helping kids connect to the land. It’s good for the kids and good for the ‘aina,” says Chef Peter Merriman about the restaurant’s support for the project. Plans for Lokelani Intermediate include Native Hawaiian gardens, food producing and educational gardens, fruit tree orchards, a chef’s garden for the cafeteria, multi-cultural heritage gardens, aquaponics, and pocket gardens throughout the campus. Students and teachers from all disciplines are taking ownership of this transformative project by creating new outdoor learning activities. Nutritional education, natural science projects, video documenting, creative writing for the school garden blog, garden design drafts, research and planning are just a few curricula in development with Lokelani teachers for the coming school year. 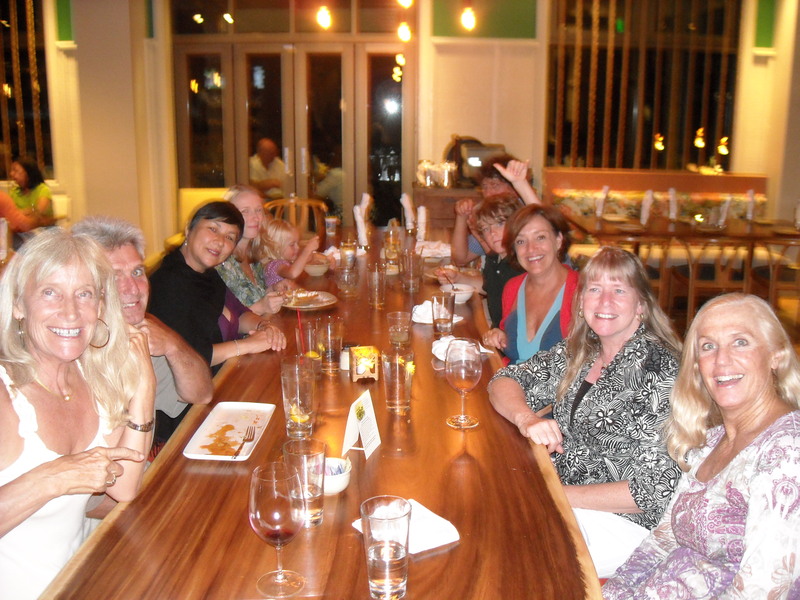 Mahalo to everyone who dined out to support the Lokelani School garden and special thanks to Peter Merriman and his amazing staff for helping us get this program off to a great start!